Bali is a tropical paradise that is ever evolving, weekly and monthly; there are so many new places to explore right across this magical island. We have made a short list here of some new and groovy places to let your hair down after your wedding that may not be found in the traditional mainstream tourist information guides, please enjoy! 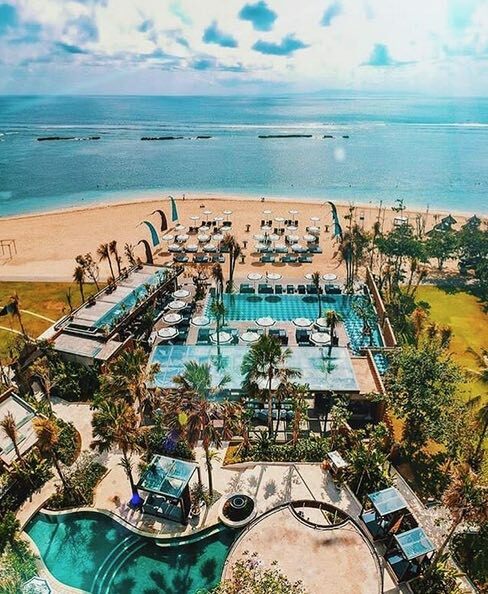 Located close to the Bukit Peninsula in Nusa Dua this absolute beachfront venue is a blissful mix of both Balinese design elements coupled with modern sophistication. 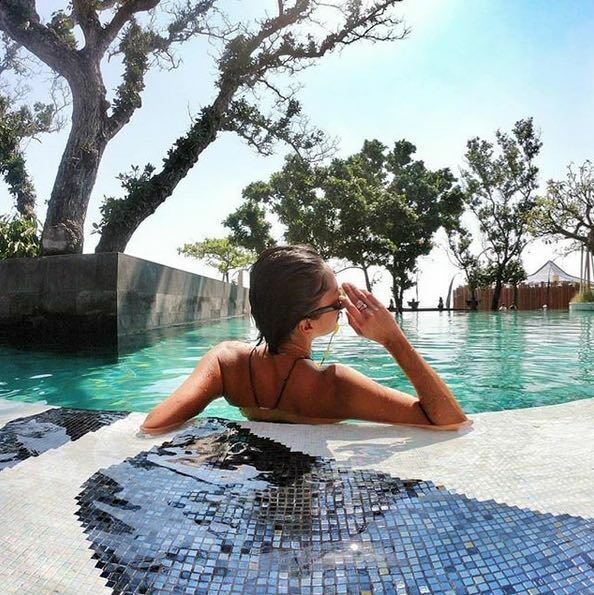 There are two beautiful mosaic tiled swimming pools, oversized daybeds, coupled with plenty of stylish garden umbrellas and beanbag chairs. 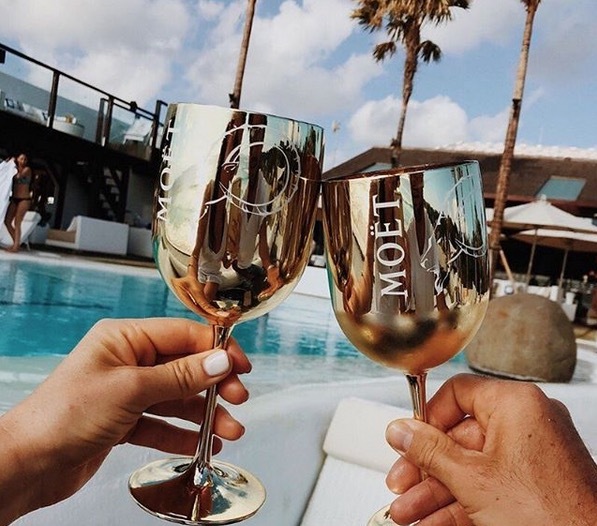 Chill out on the sand or by the pool, with a gastronomic array of refreshing cocktails to choose from and maybe some nibbles from the in-house Michelin trained Exec Chef, Stefan Poyet. This exciting new venue brings something fresh and ultra inviting to the Bali beach club scene; enjoy breakfast smoothie bowls, mouthwatering sushi and a huge wine selection for a great day by the seaside. This is the perfect place to spend a day chilling out with your mates after your wedding. Or, if you prefer some quiet downtime with your partner this is also a great option. Food, drinks and the vibe here are sensational. A new kid on the block and a melting pot of beachfront relaxation awaits at Sugar Sand. Renowned for great food, plenty of upbeat lounge music to get you into that ultra post wedding holiday mode and of course, plenty of expertly prepared cocktails that are as unique, as they are delicious! The venue has a fabulous display of vivid selection of artworks from both local and internationally acclaimed artisans. Soak up the unobstructed ocean views at the bar, which is set right on the sand. The menu is essentially Japanese, perfect for poolside snacking and inspired by a traditional, Nikkei menu. There’s even a rooftop, open-air lounge, where you can party as the sunsets, well into the evening if you have anything left in your tank after your wedding ceremony. 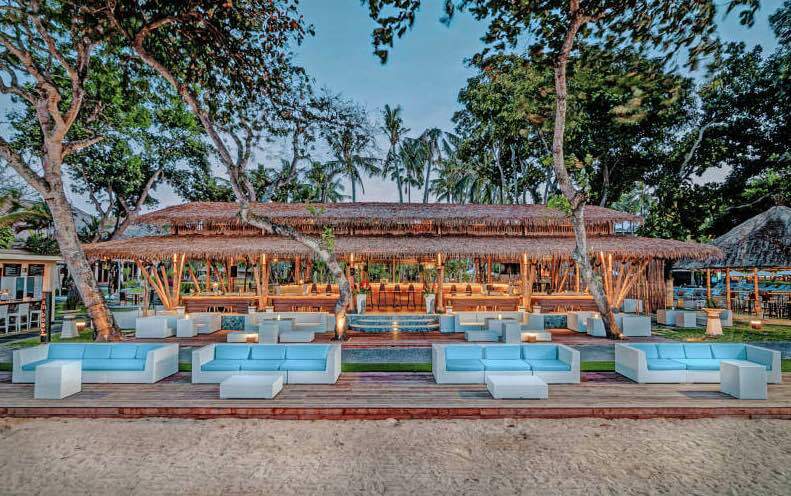 To put it simply, the Bamboo Bar is a masterpiece of architectural design and engineering, built entirely from treated bamboo and local timbers, a work of art possibly a mild understatement. 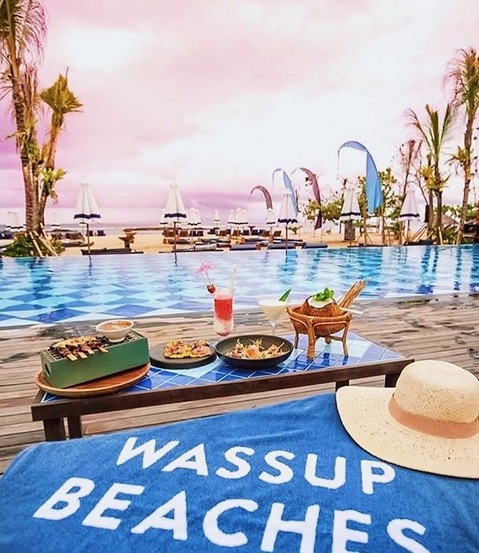 This environmentally friendly hangout is located along the well known beachfront walking path, at the Sanur foreshore, featuring many seaside cafes and restaurants, where you can take a leisurely stroll or even rent a bicycle. The Bamboo Bar serves delicious, thin crust pizzas, refreshing mocktails and alcoholic cocktails of course. Take a seat at the bar in one of the swinging cradle seats with your partner or friends, as you gently rock to and fro, cooled by refreshing sea breezes. This one is definitely a little out of the box, but its sheer uniqueness and raving reviews, meant we simply had to inform you about this one. This is the ultimate boys hangout; why should the girls have all the, now it’s time for the boys to be pampered too! The Barbershop offers all the traditional services of a highly professional barber experience with just a few extra trimmings, to say the least. Part of the Sintesa Resort Jimbaran, you can sit back in a traditional barber’s chair for a professional men’s grooming experience with your mates, perfect for a ‘Grooms’ party preparing for a magical Bali wedding. Inspired by a 1920’s sly grog watering hole; choose from a selection of top end whiskeys, vodka, liquors and a selection of signature cocktails. There’s even a buy one, get one free happy hour every day from 3pm – 6pm. The azure waters of the free-form infinity, flanked by manicured lawns are just the tip of the iceberg; with the vast Indian Ocean occupying your senses as far as the eye can see. El Kabron serves delightful and traditional Spanish fare; either by the Ibiza inspired pool, on the amazing sun deck with built-in seating, or in the air-conditioned dining room, with floor to ceiling glass windows. The Dreamland Beach is the perfect spot to watch the waves roll in, as a magical sunset begins to unfold in the late afternoon. Enjoy long languid days here and an extensive poolside grazing menu, maybe enhanced by a glass of traditional Sangria just to top off the day! If you staying in one of our wedding villas in Uluwatu then El Kabron is really easy to get to. 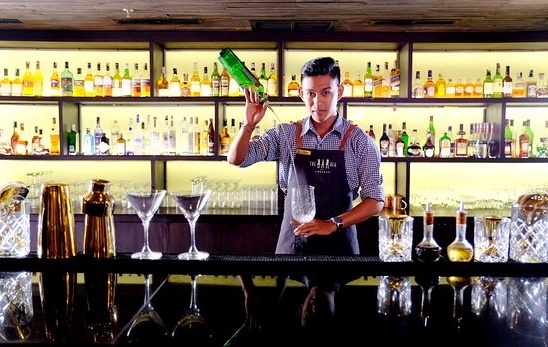 VIN+ is part of a larger catering group, with its roots coming from the Capital of Indonesia; Jakarta. This restaurant is also a one stop bottle shop with an extensive range of wines from around the world; sure to satisfy even the savviest of wine connoisseurs from across the globe. VIN+ is located along the upscale Jalan Oberoi strip, just passed Sea Circus Café and opposite the beach where you will also find the famed La Lucciola restaurant. 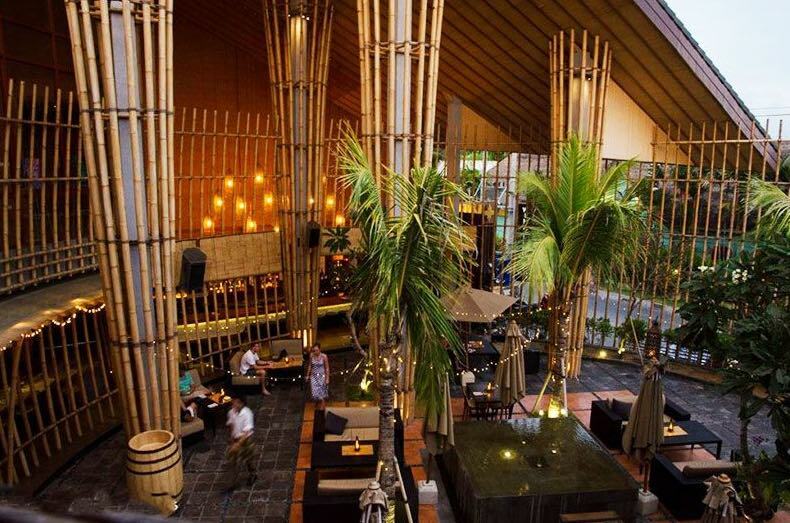 The architecture is very eye catching, featuring a soaring cone shaped structure, fashioned from natural bamboo. Inside features an open-air dining courtyard area, with tropical palms and enhanced by romantic lighting for evening meals. It’s the perfect place to enjoy great wine, champagne and the house cured salmon is a specialty! 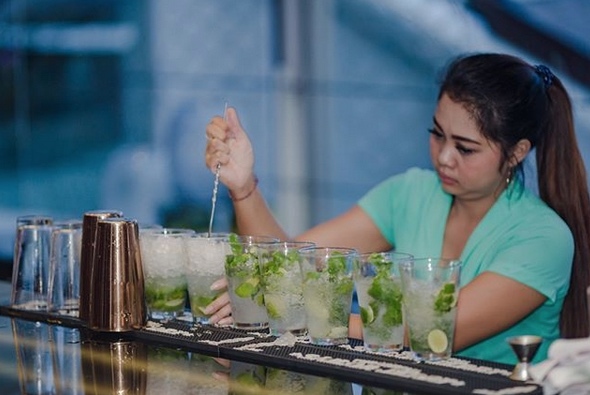 Obviously if your staying in one of our Seminyak villas then Vin + is super easy to get to. Cindy our head wedding planner will organise all your post wedding villa accommodation. You may have heard of well known tourist hot spots such as La Favela, La Laguna Beach Club, La Plancha and Sicilia. All are operated by the same group, which have now added La Brisa to their portfolio of highly successful establishments. 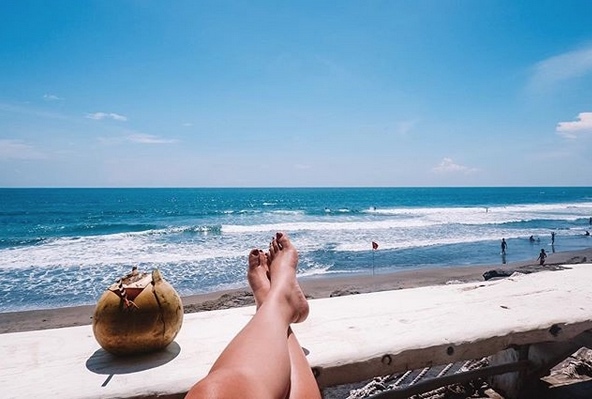 Situated in the happening Canggu district, La Brisa offers a casual styled beachfront venue with plenty of chic and tropical to go with it. La Brisa is located at the famed Echo Beach, where you can chill out in a beanbag on the sand, or in one of the recycled timber chairs; their pastel colors adding to the relaxed and laid back vibe. Indulge in authentic and rustic Spanish cuisine, unique cocktails and enjoy the chilled out house music from the resident DJ. 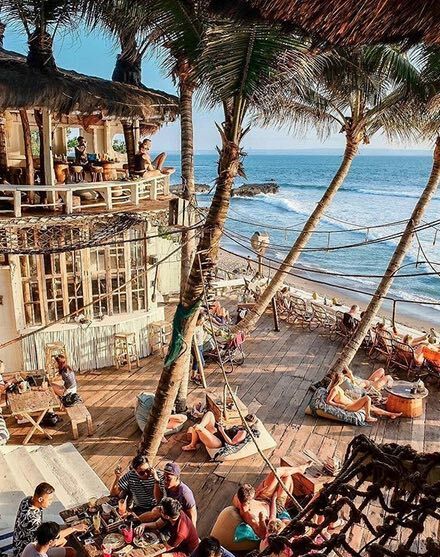 Previously the site of one of Bali’s most popular night clubs and right next door to Cocoon Beach Club & Restaurant; the Rooftop Sunset Bar is the place to as the sun begins to set. Guests access the rooftop, via a glass lift at the lobby of the Double Six Hotel. 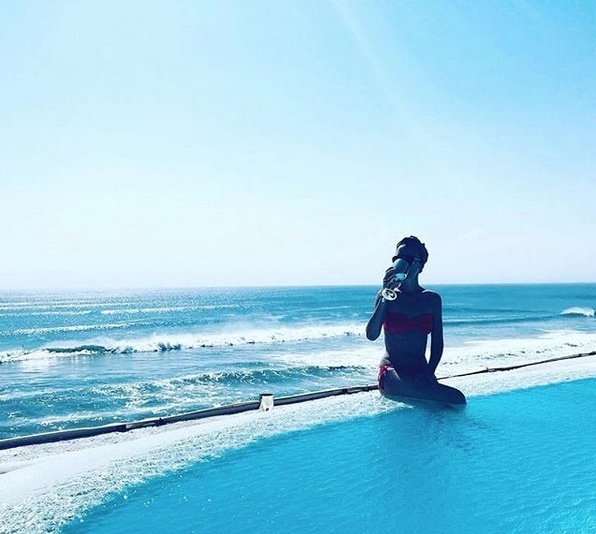 Potentially one of the islands biggest and best rooftop bars, guests can choose to sit inside, amid comfortable lounges, or head out to the deck area, where submerged circular shaped lounges are set within a large pond, overlooking all the action of Double Six Beach. 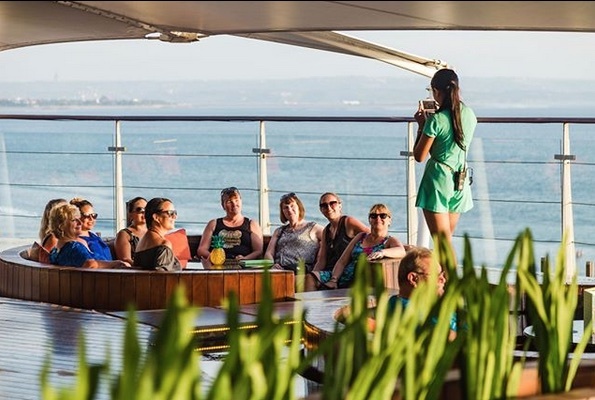 It’s a good idea to book in advance, as the outdoor deck lounges, provide guests with the best views along the coastline, all the way back to Kuta. There is always a resident DJ on hand to get you into that chilled out holiday mode. Uluwatu is at the southernmost tip of the island, characterized by soaring cliff-tops, tropical reefs, azure waters, the perfect surfing waves and the vastness of the Indian Ocean. You will discover Oneeighty located within the confines of one of the islands most exclusive villa complexes; ‘The Edge’! This bar is part of an incredible engineering marvel with sections of the bar perched out beyond the immediate clifftop, with a see-through, glass floor that will test your senses. You can make a booking and seat yourself in the VIP Cliff side deck and soak up the jaw dropping views. They offer a selection of up-scale dining fare, fantastic platters of antipasto and fresh seafood’s. As the sun sets you will enjoy enigmatic tunes from the resident DJ and be dazzled by the flames of the built-in fire pits.